Bouchér Photography: Bouchér displayed at NYC's National Photo Plus Trade Show! 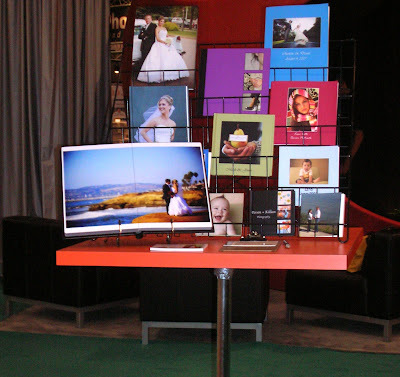 Bouchér displayed at NYC's National Photo Plus Trade Show! 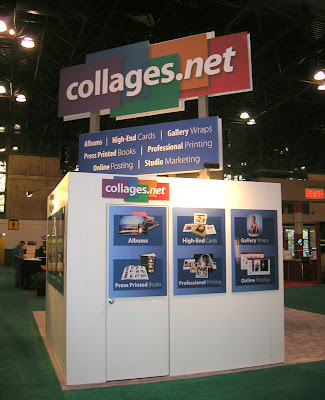 We're excited to say that we were contacted by the wonderful people at Collages.net recently with some images of our work being displayed at their booth for New York City's National Photo Plus trade show. Marissa and I love the fact that our Studio Name and images are in New York, period :), yay for us! The image that is ours is the B&W photo of Nikki putting her Earring on and then the black leather album with the 2 page spread of Michael & Hilary standing at the coast (Sunset Cliffs). Full house at the Bouchér's!